I just wanted to share some "Food for Thought" for all of you today. In April, H&M partnered with DoSomething.org and launched a program called Comeback Clothes. Now you're probably wondering what DoSomething.org is, well it's "a not-for-profit organization aimed towards getting young people involved within their communities without having to spend any money. Comeback Clothes is a program that promotes clothing recycling and fashion sustainability by encouraging young people to give their old and worn-out clothing a new life." 1. Have you already done your spring cleaning? I know it's painful, but once the process is over, you're closet will look so much better. I cleaned out my closet not too long ago and believe me, some things just had to go. Now remember, if you've got clothes to donate, drop it off to your local H&M and receive 15% off. I mean, who doesn't love discounts? Plus, their summer sale is in full effect! 2. Recycle! Recycle! Recycle! It only takes an extra couple of minutes to live a little more Eco-friendly. 3. Are you familiar with H&M's conscious collection? A line designed more efficiently and eco-friendly. It makes me really happy to see H&M has taken a huge initiative to educate it's shoppers on living a little bit more consciously. Personally, I'm a big fan of the collection and what it ultimately stands for. Look good, feel good, and do good! 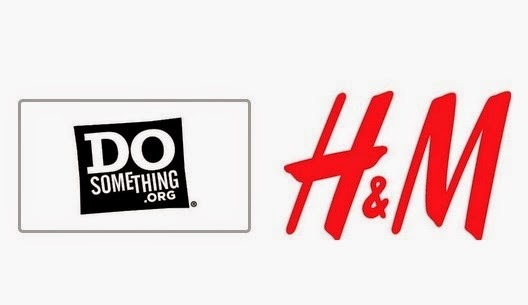 For additional information on H&M’s Conscious initiatives, please visit HM.com. With all that being said, just be a little more cautious. Be curious.